Have a smartphone? We’ve got the perfect companion for your Red Bike experience! 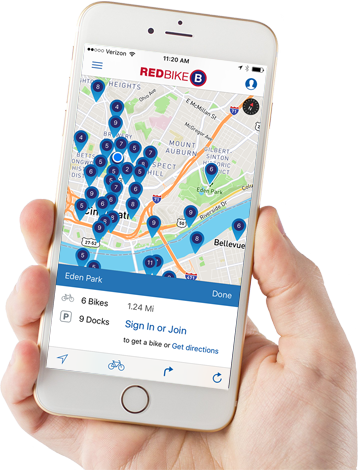 Find the closest Red Bike station, real-time availability on bikes and open docks, turn-by-turn directions to the closest station. You can even check a bike out using just your phone! Download the free BCycle app today! Do you have an awesome location in mind for a future Red Bike station in Northern Kentucky or Cincinnati? Let us know!